It’s hard enough being a business owner sometimes, but when you feel lonely, life can feel so much harder. Loneliness is becoming an ever present topic of conversation. We’re used to loneliness being talked about with our aging population. But loneliness in business owners? Really? Unfortunately, the answer is “yes”. At work, loneliness reduces task performance, limits creativity, and impairs other aspects of executive function such as reasoning and decision making. For our health and our work, it is imperative that we address the loneliness epidemic quickly. There’s all sorts of research available, to show that loneliness is an increasing problem, and there’s much concern about all communities about what to do when you feel lonely. As a business owner, you know how lonely it can be sometimes. Your partner doesn’t understand why you’re working so hard. Your family don’t understand why you need to work when they want you to be with them. Your friends don’t understand that you can’t go out with them tonight as you’ve just got to get this customer order finished. You have no-one to talk to, or share with. There’s no-one in your usual support team who you think will understand what you’re going through, or the difficulties your facing of making decisions. 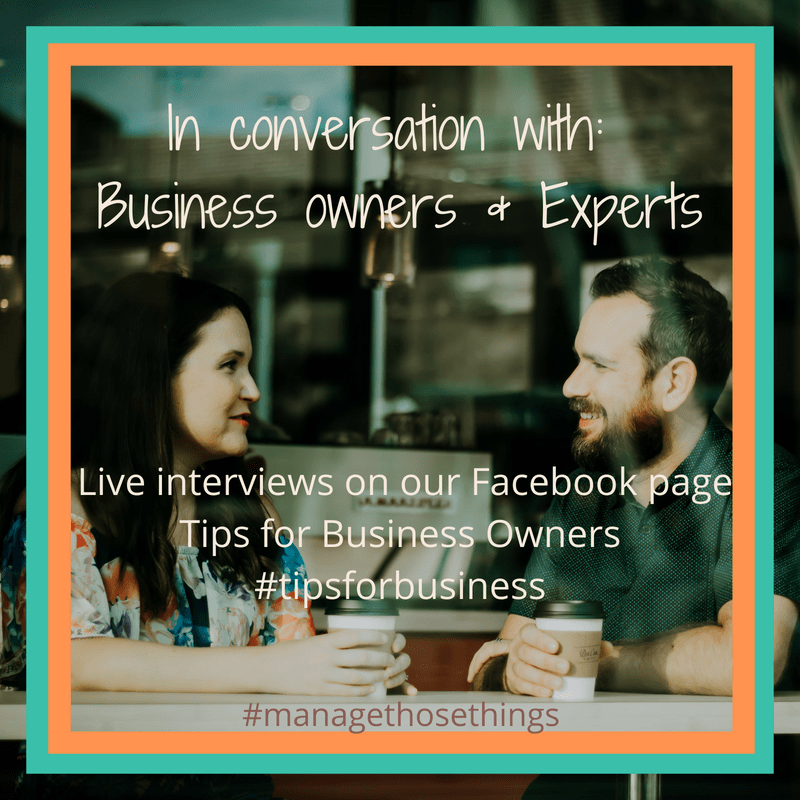 So, you look inwards to the inner strength you have as a business owner, (it feels like you’ve got a super power doesn’t it?). You think that running your own business is better than working for someone else, but then you find that you’ve no-one to talk to when you make a brew. There’s no-one to tell what a fantastic weekend you had when you ‘log on’ for work. It can be quite isolating. I know this feeling only too well. I have some great friends, and lovely supporters, but I’ve had times where I felt so lonely in what I was doing. I felt I had to do “this thing” all by myself. I felt that no-one understood. For me, this period of my life started a period of depression, which took a while to come out of. I’ve learnt so much about the power of listening in the last couple of years. It’s a powerful tool for all of us, in every walk of life. For business owners it’s even more important, that it’s something simple you can do when you feel lonely. Your friends, family, partner, network colleagues, and strangers don’t need to understand your situation. But they can just listen to you. They don’t need to advise, or find solutions for you. In fact, that’s not what you need. You just need to share, with someone, what’s on your mind. You have all the answers in yourself, and by sharing what’s on your mind, you’ll find that it becomes clearer to you what your next steps are. There are some listening services springing up all over the country now, as more people recognise that listening is way of helping who feel lonely and isolated. I’m a trained listener, and have helped set up a listening service in Preston, near where I live. It’s been so valuable to help those who are lonely, or don’t know where to turn. Whatever your business, or where you’re based, your support network is important to you. Not only to support you grow your business, but to be there for you when you feel lonely. Our support network, as business owners, may well be a network group, (online or offline), who understand our business, and our needs. It may be a co-working space we enjoy being in, which offers support to us in not being alone in our day to day work. However we see many business owners sticking with something that isn’t working for them, and that’s making them feel even more lonely in their work. One step from today is to review who and how you’re being supported in your network. Is it working for you? 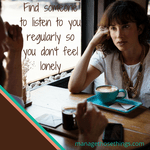 Do you feel lonely as a business owner? Could you improve your support network in some way? What would that be? This isn’t about money either. It’s not about how many networks can you be part of, so you don’t feel lonely! It’s about being with the people you feel comfortable with, who can listen to you, and you can listen to them when they need it. You may have friends and family that can do this for you. Or you may have an online group you feel comfortable with, (but there’s nothing better than talking out loud to help you – it does something wonderful in your brain. We need that connection). Review what you’ve currently got in place, and be honest with yourself if this is serving you and your business at the moment. It’s fine to change support groups as our business grows. Think of it as a child growing up – they need different support as they grow too. We’re hearing that business owners are finding the Business Cheerleading Club a comfortable place to get support, and be listened to. That’s fantastic, and we’re delighted to be able to offer this place where you’re listened to, you can share your anxieties and successes, and you’ll be understood for who you are, and what you do. We hope it’s not just a place to go when you feel lonely, but for whole business support. I also offer listening sessions to business owners, as I know how much this can help. Yes I can coach you, but sometimes, you just need someone to listen to you. Whatever support you need, don’t be lonely. Ask for help. We can’t help you unless we know, (just like your friends would tell you!). What do you do when you feel lonely at work?